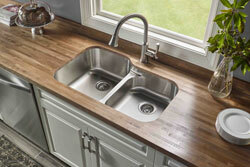 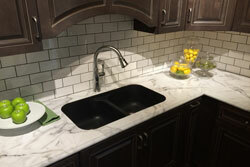 Karran USA is a manufacturer of kitchen, bathroom and utility sinks for both commercial and residential applications. 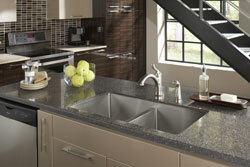 Sinks are available in a wide variety of materials including solid surface acrylic, stainless steel and quartz. 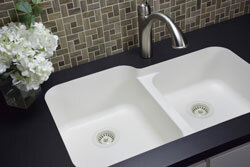 What sets Karran sinks apart is our focus on seamless integration between the sink and the countertop. 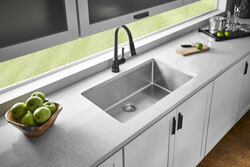 Patents on our unique resin rim technology allow us to produce sinks such as our Edge Stainless Steel Series that allow for a perfectly seamless installation into laminate or solid surface countertops. 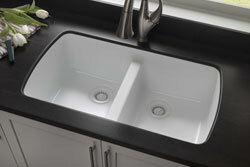 Seamlessly integrated sinks have significant hygiene, maintenance and use advantages over top or undermount style sinks.